As the Vermont Democratic Party gears up for the 2012 election, it has hired a Granite State political operative to lead the party’s staff. Julia Barnes, of Bedford, N.H., was chosen Monday night by the Dems’ executive committee to serve as the party’s new executive director. Barnes will replace outgoing ED Jesse Bragg on May 3. She has held a number of political positions across the river, serving as a county field coordinator for then-Sen. Joe Biden’s presidential campaign, deputy field director for Gov. 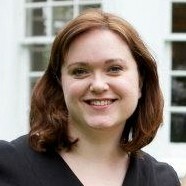 John Lynch’s 2008 reelection campaign and state field director for Organizing For America during the 2010 cycle. Given the bloodbath Granite State Dems endured that year — they lost both houses of the legislature, two U.S. House seats and the chance to take a Republican-controlled Senate seat — is Barnes simply looking for greener pastures? Change is afoot in Vermont's Republican Party apparatus as well. The GOP lost executive director Mike Bertrand last month when he chose to return full-time to his insurance consulting practice. The Vermont Press Bureau reported that the Republicans owed Bertrand months of back pay — but Bertrand and state GOP chairman Jack Lindley said at the time those bills were being settled amicably. Lindley said on Tuesday that he had no immediate plans to hire another executive director — or any paid staff, for that matter. Instead, he plans to rely on volunteer "operations director” Marty Searight. As November approaches and Democratic Gov. Peter Shumlin presumably seeks reelection, the incumbent governor's party appears to be outmatching the GOP in both staff and money. Bragg said Tuesday that the Dems currently have three and a half full-time staffers and plan to fill a fourth communications and research position in the coming months. The party had 18 people on staff during the 2010 cycle, Bragg said, though he expects that number to be lower this time around. In terms of fundraising, the Dems outraised the GOP nearly five-to-one during the first quarter of the year. According to Federal Election Commission reports, the Democrats raised $101,485, while the Republicans raised $22,777 during the same period. By the end of March, the Democrats had $79,650 in cash on hand, while the Republicans had just $2776. Barnes says she’s excited to move to Vermont, where some of her relatives already reside. “I actually have family that lives in the North Kingdom,” she said, referring, one would imagine, to that northeastern corner of the state. We presume she will be schooled at party headquarters on the pronunciation of Calais, Montpelier and Charlotte before taking her post — and, of course, on precisely how many teats a Holstein has. Photo courtesy of Julia Barnes.